Skooli is designed help students advance their academic potential. We offer custom academic support programs designed to meet the specific needs of your students – at no cost to your school. Help your students reach their goals by supplementing in-class learning with personalized help after school hours. Your school receives a customized tutoring program designed to the needs of your students. 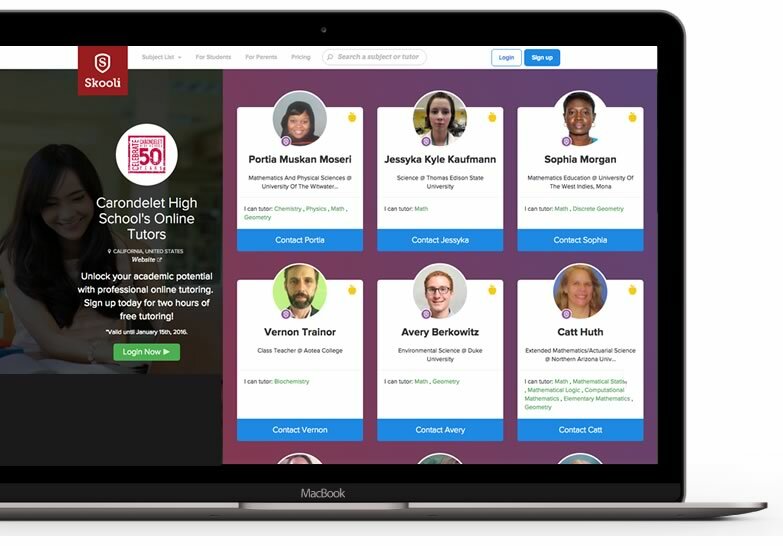 A curated network of tutors is accessible from your unique school branded landing page on Skooli.com. Learning is simplified in our digital classroom with video conferencing, online chat, document sharing, and an interactive whiteboard. Your students will be able to access the best help available – through any device. All tutors are professionally screened to meet the highest standards and our classroom is packed with safety features like recorded sessions, tutor reporting, and profanity filters. 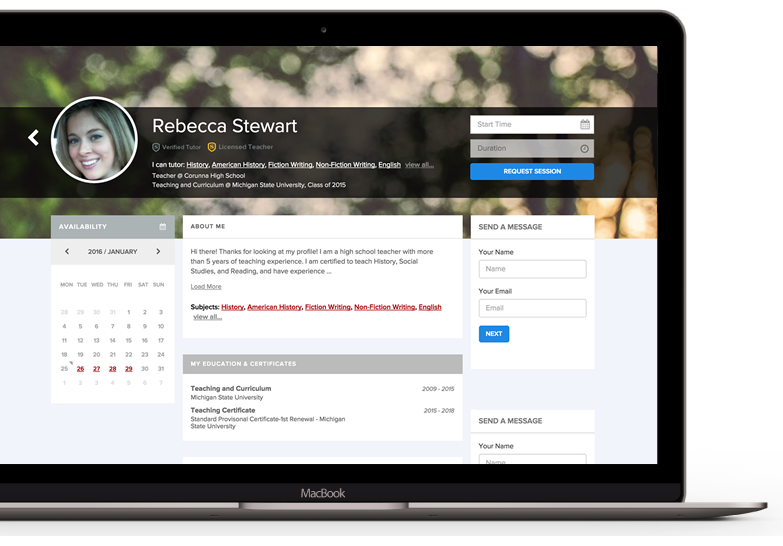 Flexible subscription plans allow parents and students to sign up for only the tutoring they need. New to online tutoring? It makes learning easier. As a teacher, my goal is to help students achieve personal growth and academic success. 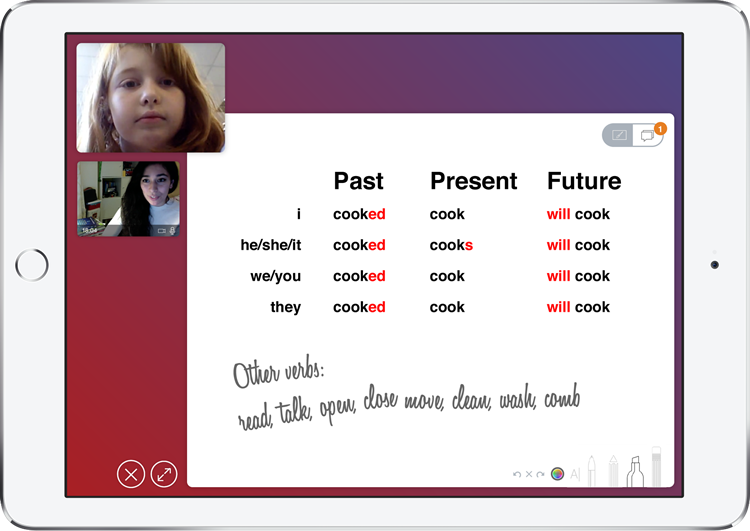 With the Skooli classroom, I can tailor my teaching methods for different types of learners. Through customizing what I teach based on learning styles, ability levels and extra needs, I am able to facilitate optimal levels of personal and professional growth in my students. Skooli allows me to teach whenever works best for me. I love being able to set my own schedule and still be able to tutor more students than ever before.